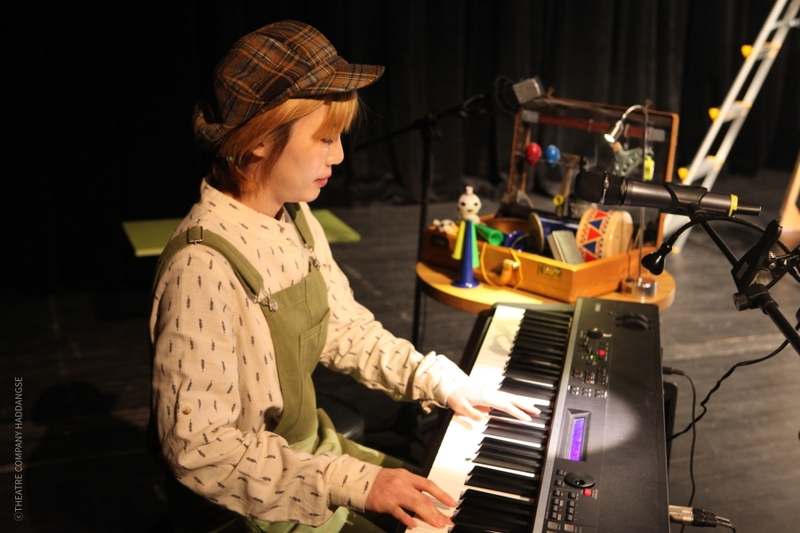 〈THE OVERCOAT〉 is a Non-Verbal family performance that was recognized by world performance art officials and audiences at the 2015 Edinburgh Fringe Festival. 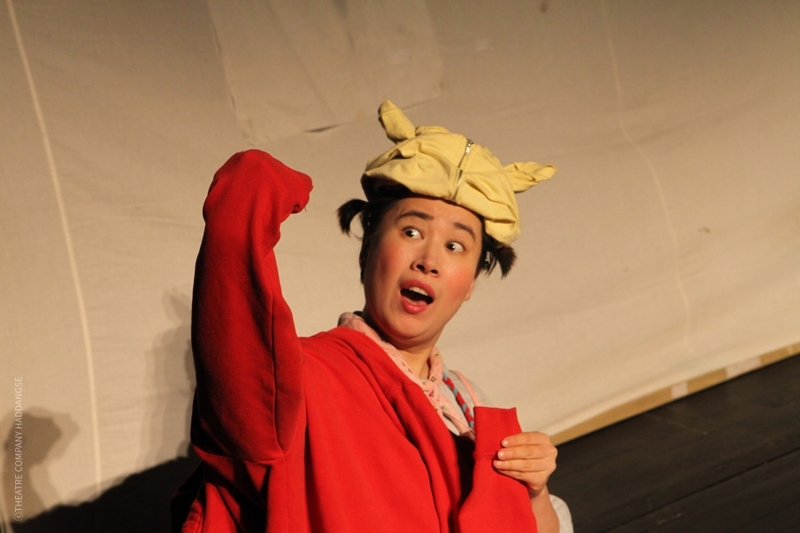 〈THE OVERCOAT〉 is a non-verbal family performance that was recognized by global performing arts professionals and audiences at the 2015 Edinburgh Festival Fringe. 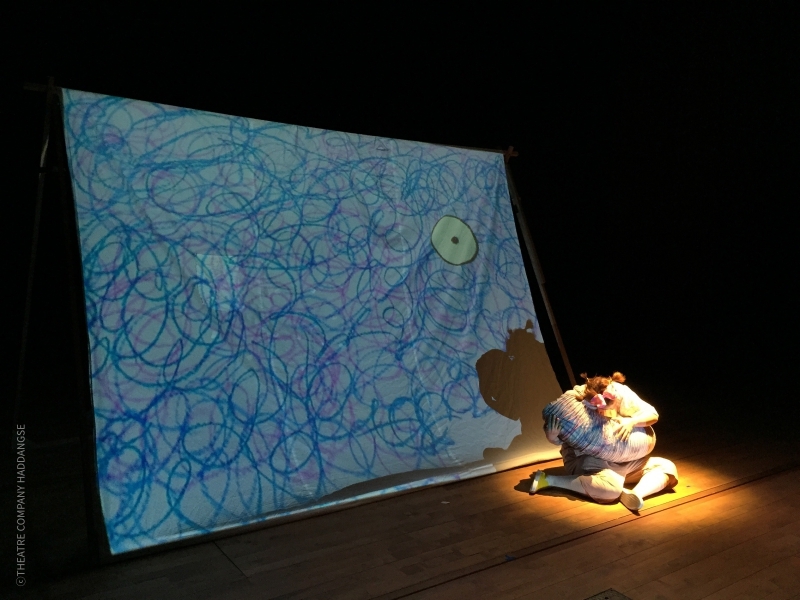 〈THE OVERCOAT〉 offers magical screen art that constantly unfolds on stage, drawing attention from curious children. Jane is mischievous but the more we see, the more we love the girl. And the big, white screen becomes her toy! The live music that perfectly fits Jane＇s body language, and its sound effects are also fantastic! Jane, a playful girl, always wants to play with her father. But he carries a briefcase to work every morning and rushes away to work. Today, Jane takes hold of the tip of Dad＇s overcoat and never lets him go! But her father leaves her. But wool is strange! Ting thang ~ Ppong~ Tick !!! ?? From now on, there will be amazing scenes in the big screen! Jane begins to wonder about the identity of the wool. She will have a fantastic time in the house. Live action and piano music come together to create a magical and mysterious world. The name of the theater company ＇Haddangse＇ means “Look up towards the sky, look down to see the earth and look into the world.” Haddangse created original and unique theater pieces such as Titus Andronicus, Haddangse, Nam Guy, Un Mec Super-Child, Lord of the Flies, Faust I+II and The Great Play : Le grand cahier. They also produced family plays such as The Smallest Frog Prince in the World, BRUSH, The Overcoat and The Giant Story as well as outdoor plays like Tiger Rock in Inwang Mountain, Tempest and Twelfth Night. 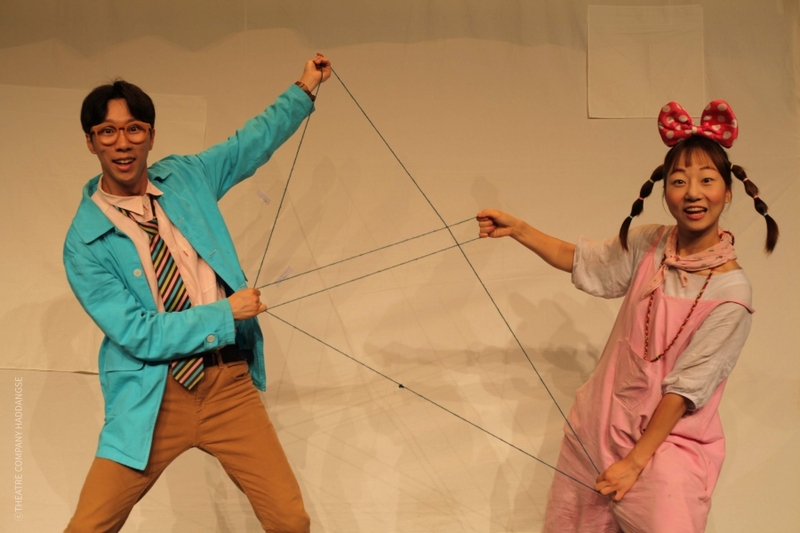 Acclaimed by various audiences, Haddangse’s works received best theater prizes, direction awards and acting awards at numerous domestic and international theater festivals. The company has a motto of strong spirit, "We go from the sky to the end of the earth with immense power" and a motto of community spirit, "Look up towards the sky, look down to see the earth and look into the world."